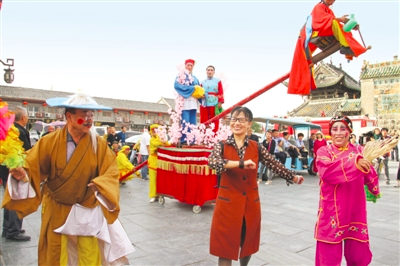 The city of Nanyang in Southwest Henan province hosted 62.27 million tourists in 2018, an increase of 19.8 percent year on year. The city earned a total of 26.48 billion yuan ($3.95 billion) in tourism revenue, up 30 percent from 2017. There were 68 tourism projects planned in 2018, receiving a total investment of 9.03 billion yuan in investment. Eighteen of the projects were completed within the year, including two national 3A scenic areas and one national 4A scenic spot. Nanyang has been focusing on carrying out important projects to develop its tourism industry, and has achieved great success. National 5A tourist spots and key supporting projects are currently being developed. 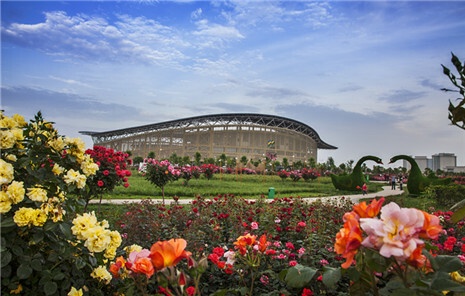 The city invested 30 million yuan into the building of a tourism circle with a radius of 500 kilometres, and has been running promotional tourism activities both online and offline. In 2018, over 180 A-level toilets were built at tourist attractions and 21 national 4A and 5A tourist spots were equipped with IT infrastructure. As rural trips gain in popularity, Wancheng Painters' Village, the Huangshi Agriculture-Tourism Demonstration Zone in Xixia county, and Baimiao Folk Custom Village have become some of Nanyang's most attractive tourist destinations. While developing its tourism industry, the city has found new ways to alleviate poverty by turning farmers into shareholders of scenic spots and offering them tourism-related job opportunities. Forty-three villages managed to rise from poverty through participation in tourism development in 2018.